Take a boat cruise from Picton to Ship Cove past salmon farms and sea birds on a beautiful voyage to Ship Cove, an historic and scenic reserve that Captain Cook visited several times in the 17th Century. 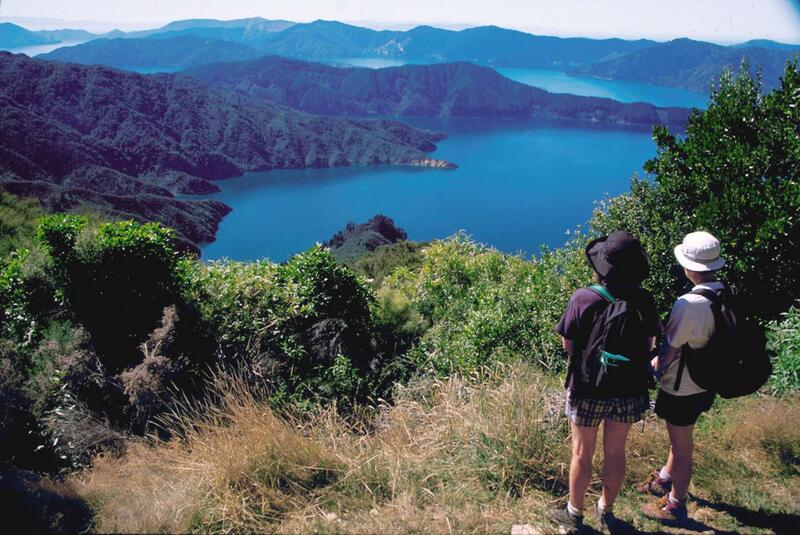 Enjoy a guided walk along the Queen Charlotte Track from Ship Cove to Endeavour Inlet (14km - five hours approx.). Bush is mainly a mixture of stunning podocarp and beech forest with punga ferns and other New Zealand native foliage. This day is regarded as the premier section of the Queen Charlotte Track. Many beautiful views are to be had across the Marlborough Sounds. Your informative local guide will explain the European and pre-European connections of this significant historical area as well as provide detailed information on flora and fauna. We will supply a gourmet lunch as well!